Wherever you’re going, there’s a Synergy fuel to help you get there. With our range of Synergy products we have a fuel to suit every driver’s needs. We know that a lot of people think all fuel is pretty much the same, so we’re going to explain (in as simple way as we can) what goes into our Synergy fuels and what makes them a bit different. We’ve increased the additives in our Synergy Unleaded 95, which help clean vital engine parts (like your car’s intake valves) and protect your engine from corrosion, all while you drive. Harmful deposits can build up in your engine over time which prevent your car from performing at its best. By helping to clean and remove these deposits our Synergy Unleaded 95 can help look after your engine, reduce your car’s emissions and give you give you more kilometres per fill. Our Synergy Supreme+ Unleaded 98 has a higher octane and deeper cleaning power of our Synergy Unleaded 95, meaning it can help take better care of your engine and give you even more fuel economy and enhanced performance. What is the difference between Synergy Unleaded 95 and Synergy Supreme+ Unleaded 98? Our Synergy Supreme+ Unleaded 98 has double the amount of detergent additive than our Synergy Unleaded 95, which helps give your engine an even deeper clean. And the cleaner your engine, the better it can perform. It also has a higher octane which helps to reduce knocking in higher performance cars. 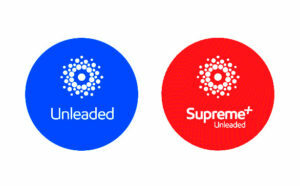 Our Synergy Supreme+ Unleaded 98 is also designed to remove more of the nasty deposits in your engine, which helps to look after your engine, reduce your car’s emissions, and give you increased fuel economy.